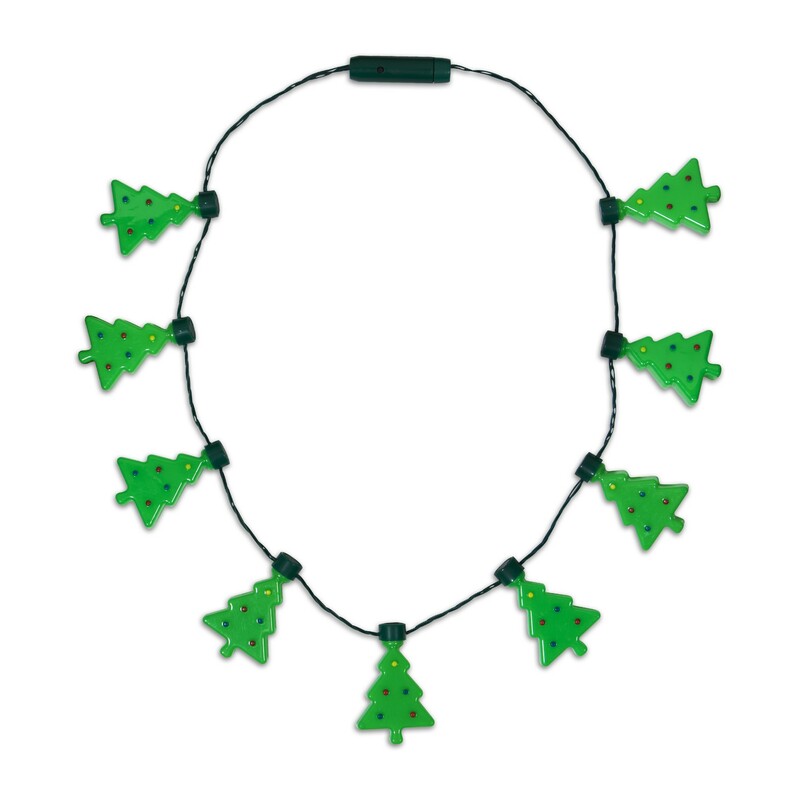 Celebrate Christmas with our festive Christmas Tree Necklace. 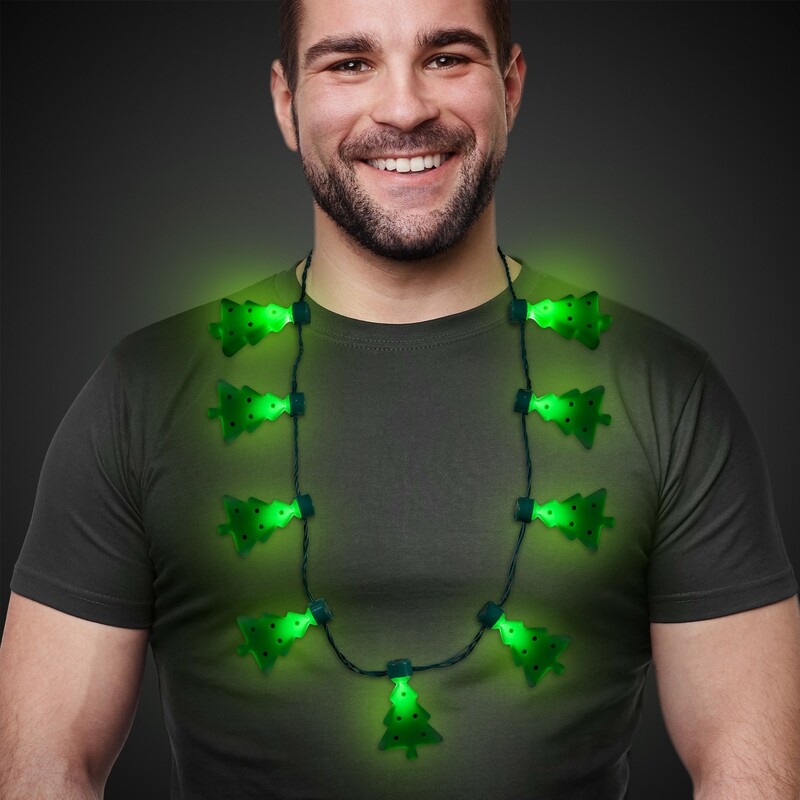 This light up necklace features 2 1/2" 3D Christmas Trees that light up. Our Christmas Tree Necklace is perfect for Company Holiday parties and festive events. 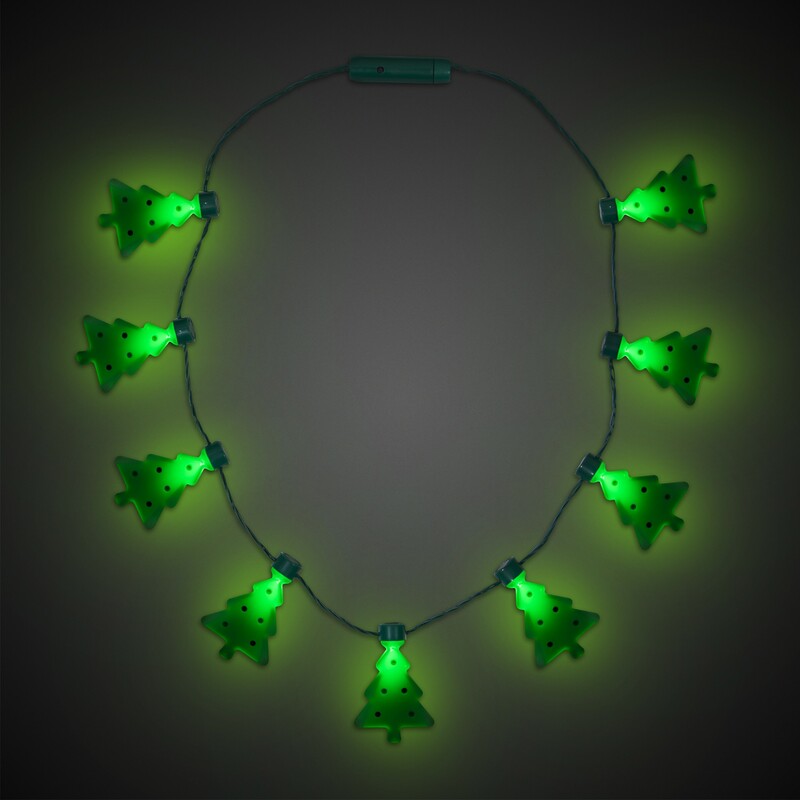 Each 31" light up Christmas necklace comes with 3 replaceable AG13 batteries included and installed. Sorry this item cannot be imprinted. 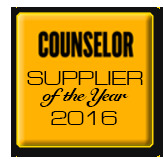 * Please note: Orders less than $100 worth of product (p) are subject to a $15.00 (p) less than minimum charge. Most products that appear in the 12 piece column are indeed subject to the $15.00 less than minimum charge.